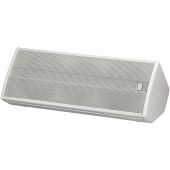 Multi-purpose PA speakers for versatile applications:. the 300 series from IMG Stage Line. They can be used for both fixed installations and mobile applications. Ideally suited for powerful PA applications of good level stability in rooms as well as for rearfill applications and sidefill applications. 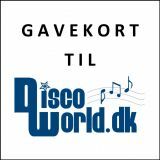 The very compact and easy-to-transport systems are also very well-suited for mobile applications when combined with suitable subwoofers, e.g. PSUB-12AKA or PSUB-15AKA and as small floor monitors. 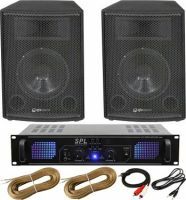 Universal PA speaker systems, 320 WMAX, 8 Ω. EVENT Rookie 08/2012. 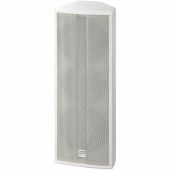 "Any speaker with a great appearance should ideally provide a great sound. This is exactly what the PAB-306/SW and PAB-308/SW do - throughout low volume levels and high volume levels. 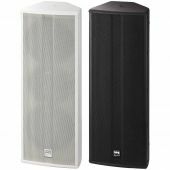 Even though, these speaker systems are not intended for excessive volume levels, they deliver a surprisingly powerful sound. 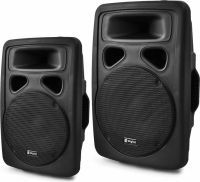 Based on subjective assessment, the PAB-306 with the two 6.5" speakers supplies a fuller, more prominent sound. 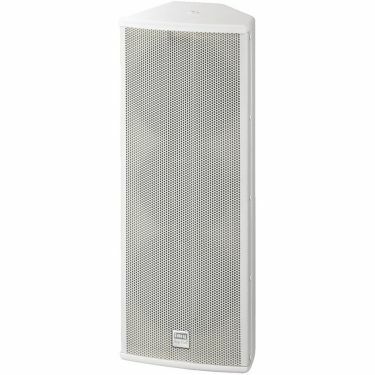 However, with a slightly lower frequency range, the PAB-308 provides a little bit more bass. Each user should decide whether this will be required for the intended range of application, or not. The slim and unobtrusive appearance is also an advantage of the PAB-306. 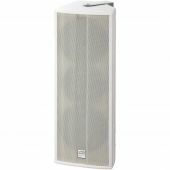 With its particularly slimline design, this speaker system is particularly suitable for the use as a small monitor speaker. 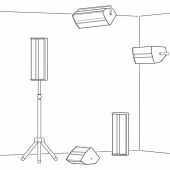 It can be fully recommended for small monitoring, unobtrusive room and background music or as a fill for larger systems. Both models are available in rock 'n' roll black and gala white."